Manufacture part number:Briggs and Stratton 694508, 693865, 696981, 791077, 698859, 790290, 698860, 795069, 798653, 697354. Briggs and Stratton 110432 110437 110452 110492 110412 110415 110417 110402 111412 111432 111437 111452 120202 120212 Engine. 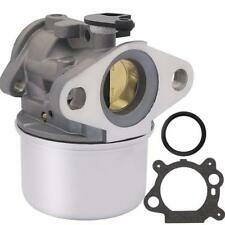 For Briggs & Stratton 6150 4-7 HP Engine Carb. Craftsman 22" Weedeater w/ Briggs & Stratton Quantum 122H00 Series Engine. Briggs and Stratton 650 series motor. 6.5HP Troy Bilt (Briggs & Stratton) push mower. Briggs & Stratton 6150 4-7 HP Engine. Craftsman 22" Weedeater w/ Briggs & Stratton Quantum 122H00 Series Engine. Briggs and Stratton 650 series motor. 6.5HP Troy Bilt (Briggs & Stratton) push mower. Briggs & Stratton 799866. For Briggs & Stratton 6150 4-7 HP Engine Carb. Briggs and Stratton 650 series motor. Craftsman 22" Weedeater w/ Briggs & Stratton Quantum 122H00 Series Engine. 6.5HP Troy Bilt (Briggs & Stratton) push mower. Briggs & Stratton Intek 190 6HP pressure washer Intek 206 5.5hp engine. Have Any Q. Model: for Briggs and Stratton. 1x Carburetor Gasket Kit. 398188 281144. Fits Follow Models Replace part #. Briggs & Stratton 398188. For Briggs and Stratton. Briggs &Stratton 83412, 90700, 91700, 99700, 100700. Needle & Seat/Float Valv. 3 thru 5 HP Horizontal &. 3.5 thru 6.75 HP Quantum Vertical Engines. 7-8.5hp Intek Overhead Valve lawn mower engines. Compatible With: 120202 120212 120232 120252 120292 121002 121012 121212 121232 120000, 121000 Model Briggs & Stratton Engines Craftsman tiller garden tiller Troy Bilt tiller old roto-tiller Sears tiller 6 hp briggs and straton powered rototiller Intek 206 5.5hp Briggs Briggs & Stratton Intek 190 6HP pressure washer engine. Replace oem # :791077 696981 698860 790182 694508 795069 698859 790180 790290 693865 697354. Intek 206 5.5hp Briggs. Briggs & Stratton Intek 190 6HP pressure washer engine. Craftsman tiller. garden tiller. Troy Bilt tiller. Sears tiller. 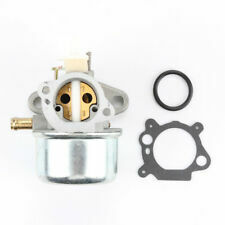 Carburetor replaces Briggs & Stratton 698474 791991 698810 698857 698478 694174 690046 693751 Lawn Mower Carb. Briggs & Stratton 4hp 5hp 6hp 7hp small Motor. Stens 520-964. 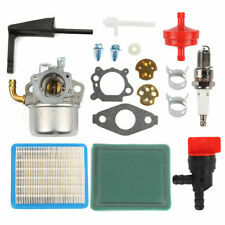 1x Carburetor Kit as the picture. Replace OEM Part Number We will try our best to reduce the risk of the custom duties. 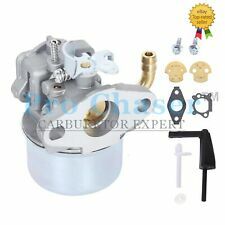 Carb Carburetor For Briggs & Stratton 798653 693865 697354 698860 790290 791077. Replaces part #'s: 791077 696981 698860 790182 694508 795069 698859 790180 790290 693865 697354. So, you can imagine how important it is! New highly quality Briggs and Stratton 120202 120212 120232 120252 120292 121002 121012 121212 121232 Engine. Replaces Briggs & Stratton New Carburetor w/ Gasket & O-Ring. Fits Models 12K702, 12L802, 12L882, 12L887, 12L902, 12M802, 12M807, 12M882, 12M887, 12M902. 129787, 129802, 129807, 129812, 129882, 129887, 129H02, 129H07. Briggs Stratton 499059 497586. 1x Carburetor as the picture. We will try our best to reduce the risk of the custom duties. Replace part number: 798653 791077 696981 698860 790182 694508 795069 698859 790180 790290 693865 697354. Briggs & Stratton 120202 120212 120232 120252 120292 121002 121012 121212 121232. Have Any Q. From Front,California. Briggs & Stratton 4hp 5hp 6hp 7hp Small Motor. 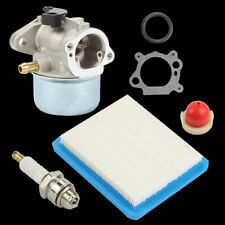 1x Carburetor Kit as the picture. We will try our best to reduce the risk of the custom duties. 124T02, 124T12, 125K02, 125K05, 125K07, 125K09, 127712, 127802, 128702, 128712, 128802, 128812. Intek 206 5.5hp Briggs. Briggs & Stratton Intek 190 6HP pressure washer engine. Craftsman tiller. garden tiller. Troy Bilt tiller. Sears tiller. 121012 121212 121232 120000, 121000 Model Briggs & Stratton Engines. Intek 206 5.5hp Briggs. Briggs & Stratton Intek 190 6HP pressure washer engine. Craftsman tiller. garden tiller. 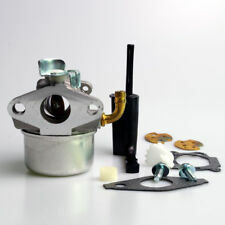 Carburetor Kit Replace 791077 For Briggs & Stratton 190 6 HP 206cc 5.5hp Engine. Troy Bilt tiller. Part Number: 99333, Carburetor Float". BRIGGS & STRATTON. One Carburetor Float Shown Below ". Float made to OEM specs. FITS ENGINE MODELS The information you have on file with. GET IT NOW. IT'S ON THE WAY! 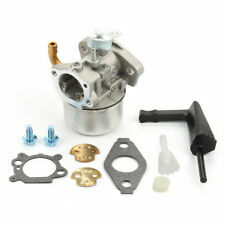 Carburetor for BRIGGS & STRATTON 799868 498254 497347 497314 498170 Carb 50-657. 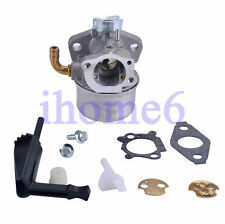 Carburetor for BRIGGS & STRATTON 799868 498254 497347 497314 498170 Carb 50-657. Replaces Briggs & Stratton New Carburetor w/ Gasket & O-Ring. Carburetor needle and seat for many Briggs & Stratton 3.5-6hp engines. Replaces Briggs & Stratton OEM # . Intek 206 5.5hp Briggs. Briggs & Stratton Intek 190 6HP pressure washer engine. Craftsman tiller. garden tiller. Troy Bilt tiller. Sears tiller. 120000, 121000 Model Briggs & Stratton Engines. 6 hp briggs and straton powered rototiller. Briggs & Stratton 4hp 5hp 6hp 6.75hp 6.5hp 7hp Engine Mower. A minor difference in carburetor design may result in a different model. Send us pictures of your current carb with clear shots on each side, we can help find a right match for you. 1 x Carburetor as Pictured. 497314, 497347, 497586, 498170, 498254, 498255, 498966, 698444, & 799868. A minor difference in carburetor design may result in a different model. 1 x Carburetor as Pictured. 1 x Gasket. BS-491588s Cub Cadet MTD Troy-Bilt White Outdoor Murry B&S Filter Air Cleaner. Send us pictures of your current carb with clear shots on each side, we can help find a right match for you. BRIGGS & STRATTON 497586 499059 494217. Model: for BRIGGS & STRATTON. 1 Carburetor & Gaskets. Oregon 50-658. Replace OEM Part Number: Briggs & Stratton 499059 497586， Stens 520-964， Rotary 14112. 1x Carburetor Carb Gasket as the picture. We will try our best to reduce the risk of the custom duties. 121K02, 122K02, 122K05, 122K07, 122K09, 122K82, 123K02, 123K05, 123K07, 123K09. Application: 120000, 121000 Model Briggs & Stratton Engines Craftsman tiller garden tiller Troy Bilt tiller old roto-tiller Sears tiller 6 hp briggs and straton powered rototiller Intek 206 5.5hp Briggs Briggs & Stratton Intek 190 6HP pressure washer engine. 120000, 121000 Model Briggs & Stratton Engines. Craftsman tiller. Sears tiller. garden tiller. Troy Bilt tiller. Briggs & Stratton Intek 190 6HP pressure washer engine. 6 hp briggs and straton powered rototiller. 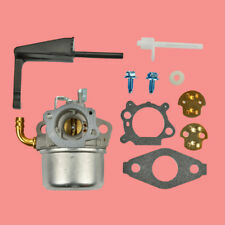 Carburetor replaces Briggs & Stratton 698474 791991 698810 698857 698478 694174 690046 693751 Lawn Mower Carb. 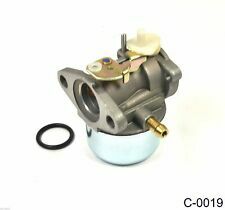 Carburetor fits 120202 120212 120232 120252 120292 121002 121012 121212 121232 120000, 121000 Model Briggs & Stratton Engines. Briggs & Stratton Intek 190 6HP pressure washer Intek 206 5.5hp engine. Model:for Briggs & Stratton. as the pictured. 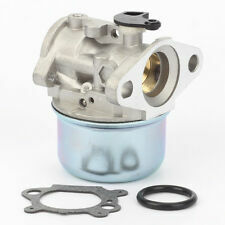 Replaces Stens Fits Briggs & Stratton Models Replaces Briggs & Stratton Part Numbers New Carburetor with Gasket & Choke. You are responsible for verifying the OEM part number. Did you check your OEM part number?. Briggs & Stratton 798653 697354 790290 791077 698860 6HP engine. Replaces Briggs & Stratton New Carburetor w/ Gasket & O-Ring. You are responsible for verifying the OEM part number. First-Class and Expedited services available. International / Worldwide. 123J02, 123J09, 123K02, 123K05, 123K07, 123K09, 124H02, 124H82, 124K02, 124L02, 124L05. 693865, 694508, 696981, 697354, 698859, 698860, 790180, 790182, 790290, 791077, 795069, & 798653. 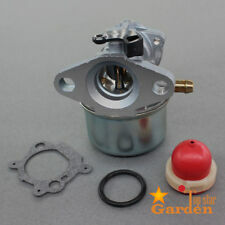 Replaces Briggs & Stratton Parts No 120202 120212 120232 120252 120412. Defective products can be changed during the warranty. 129787, 129802, 129807, 129812, 129882, 129887, 129H02, 129H07. Replaces Briggs & Stratton New Carburetor w/ Gasket & O-Ring. Fits Models You are responsible for verifying the OEM part number. Did you check your OEM part number?. 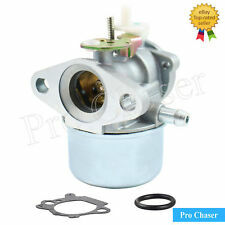 798653 Carburetor for Briggs & Stratton 696981 698860 694508 795069 698859 790180 790290 693865 697354 698474 791991 698810 698857 698478 694174 690046 693751 Craftsman Tiller Intek 791077 Carburetor.